An iPad app lets you touch anything you see on screen – not just a few pre-defined templates. Here, Pro Tools Eleven amp, full-screen in the app as you’d see it on your desktop, but touchable. At bottom, the dedicated transport controls from the iPad app. 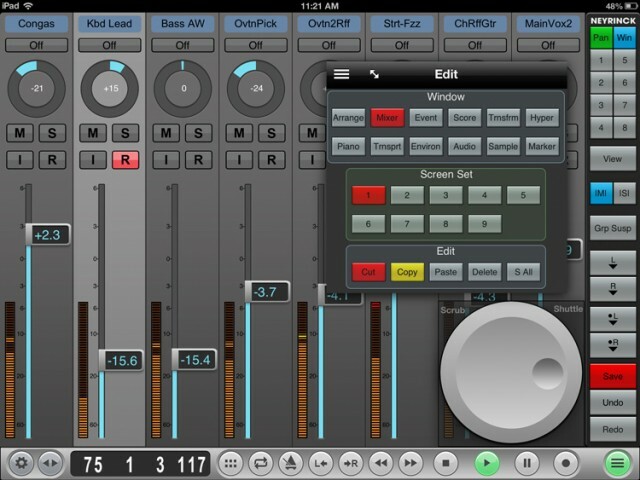 Various third-party apps have turned your iPad (or, occasionally, Android) into a control surface for DAWs. 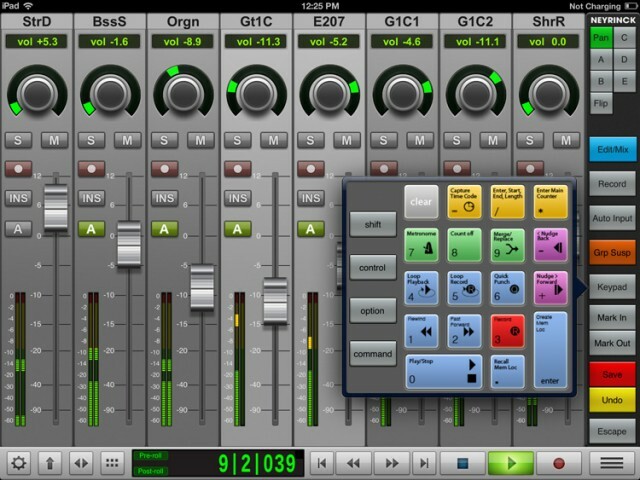 Many simply emulate the features of Mackie Control, a popular inter-app control protocol. 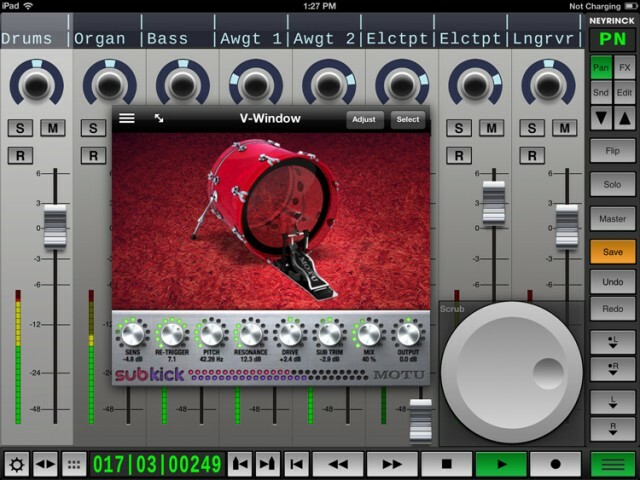 Steinberg offered its own tool with the awkwardly-named but powerful Cubase iC Pro. Killer features: keyboard shortcuts, visual arrangement overview for navigation. Then, came Apple with the wide-reaching Logic Control. While strikingly similar to Steinberg’s offering, Apple earns points for adding instrumental control, interactive help, and something called Smart Control. What Apple didn’t do was provide touch interfaces for all its instruments and effects. And as I said in the review, that was especially odd when some already looked like iPad interfaces. 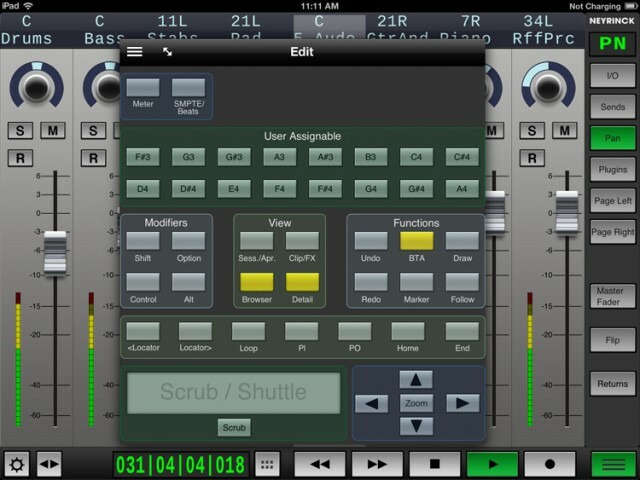 That’s where V-Control Pro, a third-party iPad DAW control app, has a killer feature. “V-Window” gives you a direct look at the interface on your desktop. So, if those desktop controls have started to look like they were really intended for an iPad – Pro Tools’ Eleven Amp here being a great example – you can now use them directly. Sure, various iOS and Android VNC apps have had the ability to do this. But rather than making you awkwardly try to navigate a computer screen entirely from a tablet, V-Control Pro combines dedicated remote controls and the remote windowing on the same screen. In fact, it easily bests Apple’s Logic Remote app. Sure, those GarageBand instrumental controls are fun, but V-Control Pro gives you a proper mixing window and more dedicated transport and marker controls. In Ableton Live, you get the sort of mixing window Ableton and transport window didn’t give you on screen. It all makes me dream of a 15″ iPad. Control “sends, automation, groups, auditioning, plug-ins, jog/scrub/shuttle, I/O assignment” and more. Use alongside Ethernet controllers in Pro Tools. Retina Display support – but also fine on an iPad mini. 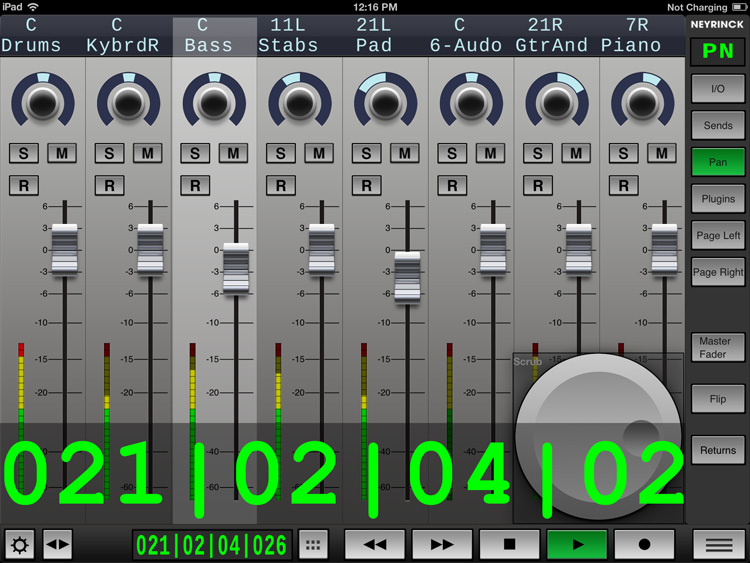 Multi-touch fader control and automation mode switching and gestural control of the faders. Edit, store memory positions, zoom, control windows, scrub, and shuttle (slightly different in different apps). Dedicated skins for different apps. V-Windows can float atop the interface, too, if you don’t need to maximize all your space. Seen here in DP8. 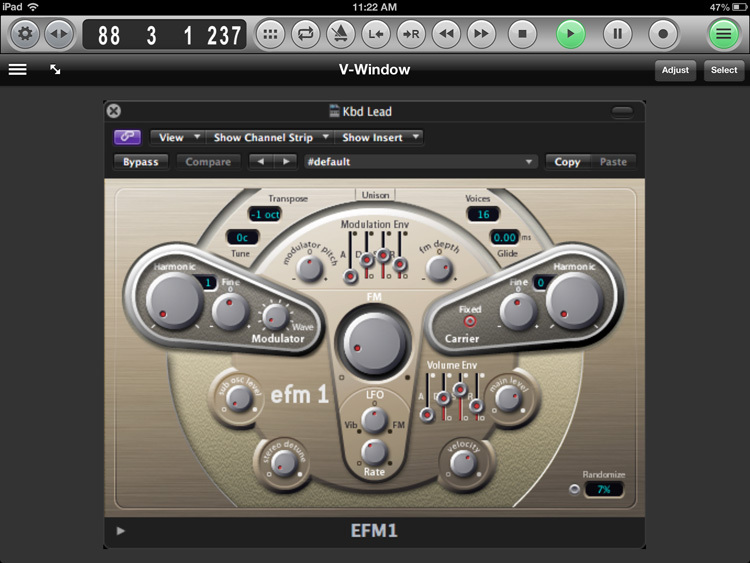 Logic Pro mixing window. Clean as Apple’s own offering is, you quickly realize that something close to this may be more what you want, at least for mixing and editing (once you’ve jammed on soft synths with Apple’s tools). Apple’s Smart Controls work beautifully – for those instruments and effects for which Apple built templates. But why not use the whole interface? That’s what V-Window does for you. 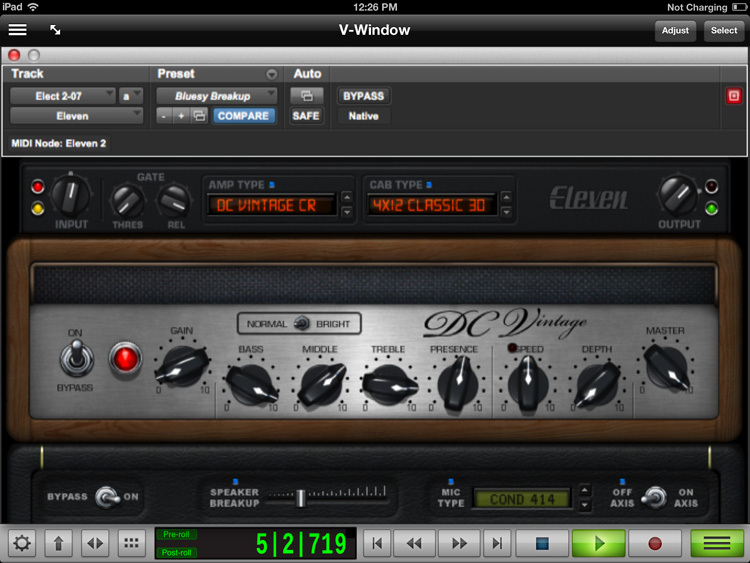 This isn’t Pro Tools. This is the mix window for Ableton Live. 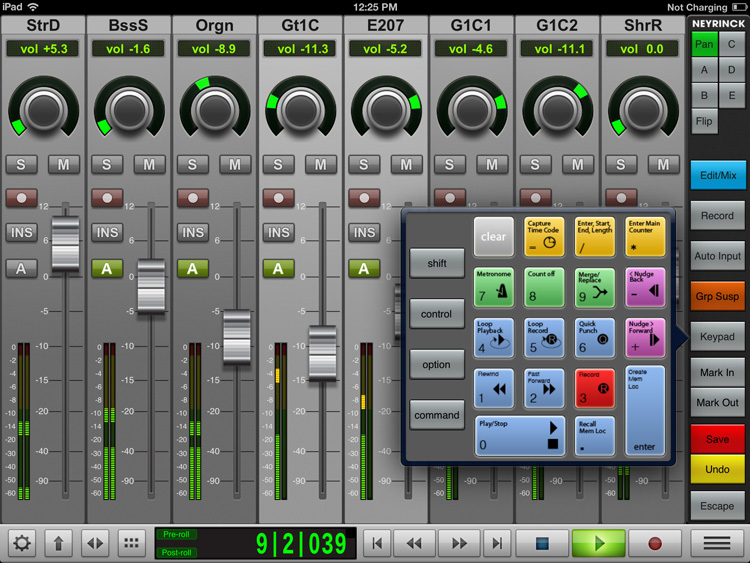 And that means people long wanting a traditional mixer control for Live will feel right at home. Massive editing features for Ableton Live are hugely welcome. Whereas most iOS apps (and Ableton’s Push hardware) focus on live work in Session View, this finally gives you a boost when mixing and arranging. Pro Tools is supported fantastically well, down to this keypad for inputting shortcuts in editing. Loads more examples and exhaustive video examples for each of the supported DAWs are available at the developer’s site, so don’t take our word for it – check it out. Hope we do a full review soon.